There is a widespread myth about accessibility. 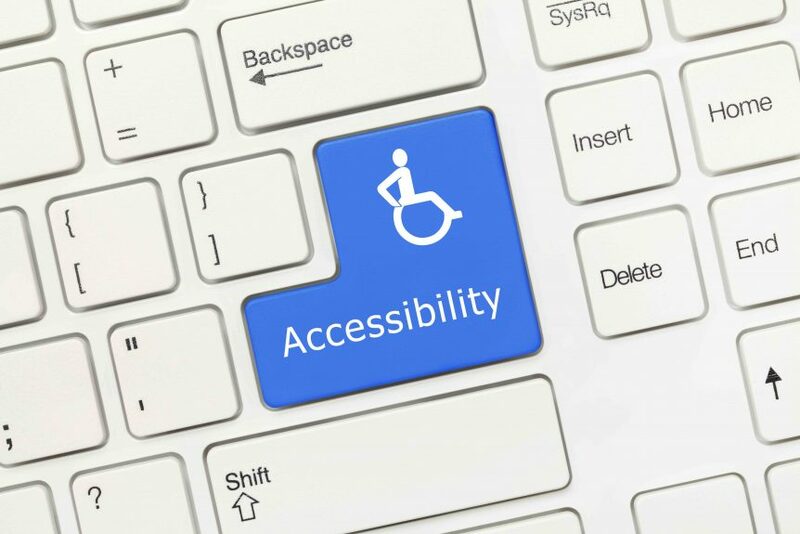 This myth is that accessibility is all about making e-learning available to people with disabilities. This is, of course, an essential and important part of the accessibility question. Accessibility is about much more than this, however. After all, everyone who completes your e-learning course will be different. Those differences include the way people think, learn, analyse, and retain information. People also have different concentration levels, frustration thresholds, and reserves of patience. In addition, there are optimists and pessimists, plus some people have a can-do attitude while others struggle with change and challenge. Of course, there are physical differences between everyone as well. Environmental factors also impact accessibility. For example, someone sitting alone in a quiet office may find it much easier to go through an e-learning course than someone trying to complete a module in a busy and noisy open-plan space. All the above is a lot to think about. Your objective, however, should be to make your e-learning courses as accessible as possible. That doesn’t mean putting in place a technical solution. In fact, most accessibility issues are not technical in nature. Instead, they are about structure, overall approach, and style. Subtitles and captions are essential for people with hearing impairments. With many videos on the internet, however, the hearing impaired are minority users of subtitles and captions. This is because subtitles and captions make video and audio content more accessible to everyone. In fact, they make it possible to watch and understand a video anywhere, including situations and locations where it is not possible – or is impolite – to have the volume up. Therefore, adding subtitles or captions to the videos and audio in your e-learning course will help anyone watch and “listen”, wherever they are. Limiting or removing colour references will help people who find it difficult to distinguish colours. In addition, you should make sure there is a good colour contrast in the design of your e-learning course. This makes the content easier to read for people who are colour blind – and everyone else. Make sure your choice of font is easy to read both in terms of clarity of design and size. Also, double check your chosen font and font size on small screens, such as mobile phones. If learners have the option of completing the course on a mobile device, they should be able to read the content. Relevant and descriptive images will help people who struggle with text-based learning. A relevant image will put the text into context and will help these learners grasp concepts and ideas. In other words, the images you put in your e-learning course are not just for decoration. They are a powerful learning tool that also enhances accessibility. Image ALT tags should be used in all HTML code to help those with visual impairments. Complex or poorly designed navigation in an e-learning course can catch anyone out. This sort of navigation increases frustration and results in learners becoming less engaged with the content. Providing a simple navigational structure is essential. This tip makes it easier for the visually impaired to navigate through the course as well as those who simply prefer using a keyboard rather than a mouse. In addition, think about the method of navigation available on mobile phones. Ideally, this means incorporating swipes rather than taps as much as possible. There are some people who are put off by text, however concise the text is. Adding an audio narration is a great way of engaging these types of learners. One common and effective approach is to create an avatar to guide the learner through the course. This avatar can interact and give information to the learner by audio. Microlearning involves delivering the e-learning content in small, bite-sized modules. For example, keeping all the modules in your e-learning course to five minutes or less. This will broaden the appeal of your e-learning course and will deliver better results. Using jargon is a great way to alienate your learners. After all, some may be familiar with the jargon, but others won’t. It is always best to avoid jargon and use normal language instead. None of the above tips requires significant additional resources to include in your e-learning course. The result, however, will be a course that is much more accessible, appealing, and engaging.